Apple has bought music analytics firm Asaii for under $US100 million, Axios reports. Apple declined to comment or confirm the Axios report. 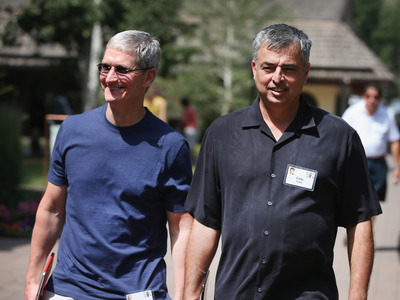 TechCrunch reports that Apple hired the company’s founders. Apple has bought a music analytics firm, Asaii, for under $US100 million, Axios reported on Sunday. Axios notes that the company’s co-founders now list Apple Music as their current employment on their LinkedIn profiles as of October 2018. TechCrunch reports that Apple didn’t buy the company or its assets, but rather hired most of the startup’s employees, including the three founders. Apple declined to comment or confirm the Axios report. But even if it’s not a purchase or there’s another caveat to the deal, the fact that Apple has hired the Asaii co-founders underscores the company’s plan for its music subscription service to overtake Spotify. Last year, Apple bought Shazam, the music-identifying app. But it was unlikely that Apple wanted the company’s burgeoning advertising business – in fact, Apple shut down its ads last month. Instead, investors told Business Insider that it was likely that Apple wanted the company’s data, which could often serve as an early warning system for what songs are breaking out in a region. People at record labels loved to use a Shazam dashboard to find trending songs and doing analytics. Now, that data is Apple’s. Apple currently has 50 million subscribers, behind Spotify’s global 83 million paying users. One of Apple’s core philosophies centres around human curation: Apple Music has thousands of human-created playlists, as well as a radio station crewed by live DJs, including BBC veterans. But Spotify’s buffet of computer-generated Daily Mix and Discover Weekly playlists are one of the service’s strongest features, and subscribers love them. Apple currently publishes three kinds of individually customised playlists, but it’s likely to want to create more, and that can help explain why it’s spending hundreds of millions on music data companies.